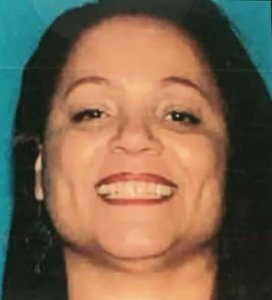 Police said they detained a woman on Wednesday after the bodies of three people were discovered at a home in the Leimert Park neighborhood of South Los Angeles the night before. Hours after naming Nancy Amelia Jackson as a possible witness to the crime, Los Angeles police announced that they were questioning her. She worked as a caretaker in the home for six weeks, authorities said. The remains of two men and a woman were found around 8:30 p.m. Tuesday in the 3900 block of South Bronson Avenue by a family member who came by to do a welfare check after receiving a call from a concerned neighbor, Los Angeles Police Department Capt. Peter Whittingham said. Police later identified the victims as Phillip White, 62, who lived in the home; his mother Orsie Carter, 70; and her husband, William Carter, 82. The neighbor said he noticed the mother’s car parked in front of the house for an unusually long period of time, according to investigators. The family member, who described himself to police as the son of one of the victims, went inside to find his father, grandmother and her husband dead in the bathroom area, Whittingham said at the scene Tuesday. “There was something suspicious about the way they were found,” he said. The bodies were “piled on each other in some way,” according to the captain. All of the victims had suffered some sort of blunt trauma to the head, Whittingham said. White and his mother were also shot, according to detectives. The 55-year-old caretaker was romantically involved with White, who had a severe disability, according to authorities. Jackson also lived at the home for a short period of time, investigators said. Police believe she might have crucial information about the crime. Investigators believe the killer might have known the victims since there were no obvious signs of forced entry, Whittingham said. Rash of shootings frightens South L.A.